On a target dedicated to a blunt collision. Their discipline is solid while their soul inside is breaking. Is deemed quite patriotic, if it’s for the USA. That’s a diff’rent story which will raise our blazing dander. Snipers as our heroes, which is pretty much dismaying. 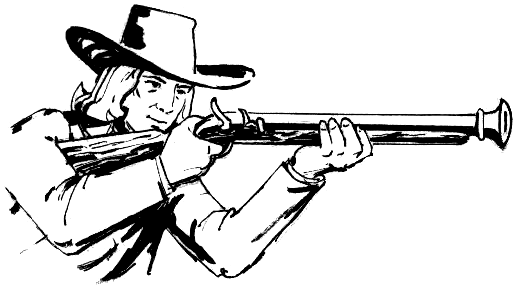 I begin to think we have been shooting the wrong persons . . . The Missing Clowns of Madison Square Garden. 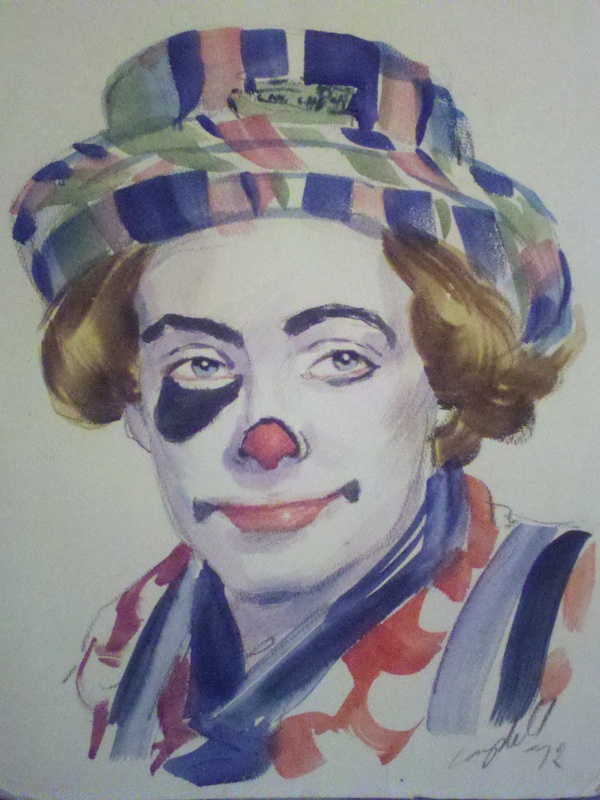 Tim Torkildson, as Dusty the Clown. 1971. In the early 1970’s I had my first taste of Madison Square Garden in New York City. There were rows of doors for the public to use; and there were hidden, private doors that were not for the uninitiated. One particular door, hidden in a sort of alcove, was of stainless steel. It was a private elevator, for use by the top brass, the big shots, the favored few. Definitely NOT for a First-of-May such as yours truly. But I desperately wanted to impress my New York girlfriend, Alice. So one bright spring morning as we strolled around the Garden, taking in the citified fresh air, such as it was, and examining the gelato stands prior to making a purchase, I casually guided her over to the discreet stainless steel door. There I offered to take her up into the bowels of the Garden for a personal and, I hoped, intimate private tour. I knew the elevator operator would not come on duty until noon, and had observed carefully the number pattern he used to unlock and operate the contraption. We entered without incident and scooted up several stories to where clown alley was situated. I handed her out of the elevator and demanded a kiss prior to starting the tour, as down payment for the delights to follow. She obliged. A few minutes later, after coming up for air, we went over to the blue-curtained area that passed for clown alley. I went in first, to make sure the coast was clear. It wasn’t. Three fellow First-of-Mays, Rob, Keith, and Buddy, were huddled in a corner, angrily buzzing like hornets. The show had been in the Garden for 3 weeks, and had another 3 weeks to run before heading west across the country. These three were native New Yorkers, and coming back to their hometown had not proven to be the triumph they thought it would be. They were bedeviled by New York girlfriends who demanded to be made showgirls so they could travel along, old pals who wanted free tickets, and family members who wondered out loud why they had not been promoted to management yet. Rob, Keith, and Buddy were also disgusted with the living conditions on the clown train car, nicknamed “The Iron Lung”, and with working conditions and the pay. As I came over to them it was obvious they were planning a mutiny. They gave me a sullen nod as they filed out of clown alley. Relieved to be rid of their unromantic presence I quickly invited Alice in for a look-see. But the first thing she saw was a rat’s nest squirming with young, pink, hairless rodents, nestled inside the bottom drawer of one of the steamer trunks we used for our wardrobe and costumes. That abruptly ended the tour; she commanded me to take her out of that horrid place immediately. Back outside, we parted uncomfortably; she didn’t have to tell me that any man who associated on such close terms with rats was not the man for her. But soon enough a crisis in clown alley put all thoughts of her out of my mind. Rob, Keith, and Buddy went AWOL, their trunks disappearing with them. The boss clown, Levoi Hipps, had to scramble to plug the holes their departure left in our clown gag roster. I suddenly became a rabbit in Spec, an elephant rider in the Manage number, and was saddled with the killer kangaroo – a Mark Anthony original, made out of foam rubber with a large, inflated latex ball inside that propelled the rider around the track at breakneck speed. The exertion of riding the killer kangaroo made climbing Mount Everest seem like taking a nap. I never saw those three straying First-of-Mays again; but eventually I found out what had become of them. Rob became a noted Broadway costume designer. Keith wrote romance novels anonymously for a publisher that churned them out by the dozens each year. Both Rob and Keith married, had families, and moved out to Long Island. Buddy stayed single, grew alcoholic, drove a taxi, and was killed in a bar fight in Queens. I heard from Alice many years later; she was married, worked as a nurse . . . and doted on the white rats her twins had as pets. 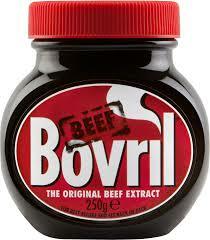 This post is brought to you by the Bovril Company. A mealtime tradition since 1889. Want Free Room & Board in a Gorgeous Mansion? Try House Sitting! by Susan Caba. I am living the life of the rich and famous, although I am neither. I’m following good weather and my whims around the country, moving from one luxury home to another. My accommodations last year have ranged from a mansion in Washington, D.C., around the corner from the home of former Senator John Glenn, to a woodsy retreat in Chapel Hill, N.C., to a sprawling Philadelphia condo with an exclusive Rittenhouse Square address. At the moment, I’m living in a hillside house in Santa Barbara, Calif. The scarlet bougainvillea, attended by hummingbirds, competes for sunlight with the lavender blooms of jacaranda trees and spiky purple agapanthus in the garden. The Pacific is an indigo wedge on the horizon. I’ll swim a few lengths of the pool — no suit needed — before showering in a spa-like master bath with heated floors. For these two months, I’m driving a vintage white Mercedes nicknamed the Sugar Cube. My cost for living in this Southern California splendor? Nothing. I tend three cats, feed a tank of fish and mist the Boston ferns in return for lodging. I’m a house sitter, part of a thriving network of full- or part-time vagabonds. House-sitting is one more example of the upending of the travel industry by the combination of social networking and the sharing economy. The difference between house-sitting and companies like Couchsurfing — in which the person who owns the home is paid — is that no cash is exchanged. Neither I nor the homeowners I sit for spend any money. I started house-sitting inadvertently, when an acquaintance in Santa Barbara wanted someone to mind her cats for two weeks. She had tapped out her family connections. I was already spending four to six weeks of every winter and summer — when the weather in St. Louis is either lethally cold or horrifically hot — in California, so I jumped at the chance. We’ve repeated the arrangement every year since, with the length of her vacations, and mine, gradually growing. That got me wondering about other house-sitting opportunities. I listed my availability on Craigslist; no response. I considered contacting universities, looking for professors going on sabbatical, but that seemed like a lot of trouble. Eventually I Googled “house-sitting” and found several websites that registered ­homeowners and house sitters. They cost between $10 and $100 a year for membership, which gives you access to the listings. Homeowners post descriptions of their homes and pets, as well as the dates they need a sitter, anywhere from a weekend to several months. Potential sitters provide a brief profile, any house-sitting experience, contact information and references. Reading the listings is like being addicted to gumdrops: Do I want three weeks in a house with a horse in Brittany, or a month in Costa ­Rica on an estate overlooking the Pacific Ocean? After more research, I joined two sites: TrustedHouseSitters.com, a three-year-old organization based in Britain, and HouseCarers.com, based in Australia and in business since 2000. Both list house-sitting opportunities in the United States, Australia, Britain, Costa Rica, Continental Europe and, to a lesser extent, other places around the world. Why, you may ask, would anyone entrust their home and possessions to strangers? Some homeowners, especially those who will be gone a significant amount of time, just want their houses occupied as a security measure (statistically, an occupied house is safer than one left empty). That was the case for my stay in Washington. I arrived just after the last snowstorm, in April, and left before the onslaught of summer. But pets are the reason for 80 percent of house-sitting arrangements, said Andy Peck, the founder of TrustedHouse­Sitters.com, who started out house-sitting on a multimillion-dollar estate in Spain. As for the trust issues, the websites don’t make any matches or vouch for the accuracy of the listings. It’s up to sitters and owners to find one another through the listings, then vet one another by exchanging emails, talking by Skype or telephone and, in some cases, meeting in person. The sites strongly encourage sitters to post references and even undergo police background checks. They provide sample agreements spelling out the responsibilities of both parties. Retiring baby boomers and workers in the freelance economy who, like me, can do business anywhere with a laptop and a smartphone make up the primary supply of house sitters. Families looking to take interesting vacations during school holidays are another source. (Homeowners specify whether their property is suitable for children, and many encourage families.) The same groups are often looking for house sitters themselves. There are risks on both sides of the arrangement. Besides theft or damage, there’s the possibility that sitters will cancel at the last minute, ruining expensive travel plans. Sitters, too, may face the unexpected. A friend of mine agreed to move into a Victorian house in Colorado for a month, only to find that one of the two dogs she’d be watching was a snarling hound of the Baskervilles. My only mishap was being caught skinny-dipping — twice — in Santa Barbara. The Guatemalan pool guy unexpectedly changed his schedule so he could watch the World Cup. At least I was in the deep end. Last year, I sold my house and unmoored myself from any one location, to indulge my wanderlust for a year. I’m already booked through February. I’ve had to pass on that house with the Pacific Ocean view in Costa Rica, a month in Boston’s Beacon Hill and a cottage in the Cotswolds. I’m beginning to think that a year might not be long enough. That her Second Amendment rights were securely cited. She would know his privilege was secure in almost all states. That guns are more important than a school’s security. Who do not think it’s helpful some artillery to shew. 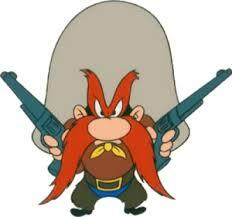 The arguments for gun freedom – all the cons and pros. And don’t forget to gift her with a Luger pistol too!